One of the most basic but difficult things when trying to grow is simply to keep yourself on the right track. To not veer off in your mind and in your world and take a wrong turn. This is unfortunately easily done in the day to day life as your ambitions and dreams may be forgotten amongst all your responsibilities and old habits. One thing thatâ€™s been useful for me is to continually ask myself helpful questions in various situations throughout my week. By asking yourself helpful questions youâ€™ll get helpful answers. By, on the other hand, asking yourself disempowering and negative questions youâ€™ll stop yourself from helping yourself. You tend to get what you ask for. Here are five of my favourite questions right now. Adding those â€“ or your own favourites â€“ to external reminders such as a bracelet or notes posted in highly visible places can be very useful when your mind is heading down a slippery slope of negativity or pointless babbling. Also, as you start to use the questions more and more they tend to start to pop up almost automatically at useful points in your everyday life. The second question in this article is for instance one that my mind often asks me pretty much automatically nowadays whenever I find myself up in a â€œnegativeâ€ situation. This is a good way to weed out thought habits that may not be so useful. Your mind may for instance fool you into believing that itâ€™s the right thing to go around being angry at someone because, well, youâ€™re right. Or that itâ€™s right to dwell on a problem because you had such bad luck or was singled out. Both thought patterns are quite seductive because they can fool you into believing that you are doing the â€œrightâ€ or â€œnormalâ€ thing. But are such thoughts useful to you? Probably not. Theyâ€™ll just create suffering in your life, waste your time and do little to solve a practical situation. By asking if something is useful you can stop yourself while heading down a negative path and turn around towards the light again. 2. What is awesome about this situation? This is a good way to find the lesson within an experience that may be seen as negative. Or to just reframe a situation and create some positivity and enthusiasm within yourself to get going to practically handle a situation instead of falling back into a dwelling, negative victim-thinking kind of thought pattern. Asking yourself this question may seem stupid or silly at first. You may not find anything positive or awesome about a situation at all. But after youâ€™ve started to ask yourself the question in more and more situations youâ€™ll probably find something thatâ€™s at least good about the situation. And the more awesome, positive and good things you can find in experiences the more your mind starts to accept that you can indeed find something good in just about any situation. Your mind just has to get a bit used to thinking about things in this new and unfamiliar way. 3. How can I give value in this situation? It makes you feel awesome. You tend to get what you give. It makes your life a whole lot more fun. It makes it easier to start new relationships. What value can you give in a situation/to another person? Well, a few suggestions would be: bringing a positive attitude into situations, lending a listening ear, cheering someone up, offering useful advice or creating a fun/exciting situation for people in your life. By asking yourself this question you can add more value to other peopleâ€™s lives. And more value and joy to your own life. 4. Am I taking this too seriously? This is wonderful question to ask yourself to lower stress levels and be able to feel better and perform better in a situation where you have created a lot of internal pressure upon yourself. It take much of the self-imposed seriousness and weight off on your shoulders. It makes life lighter. This is one question that I have some difficulty remembering from time to time, but when I do â€“ which I usually do at some point â€“ then it makes me feel a whole lot better. You can read more about not taking life too seriously and find some practical tips for doing that in Lighten Up! 5. Will this matter 5 years from now? This is pretty similar to the previous question but I wanted to include it anyway. Why? Because it can really puts things into perspective. It can make just about any difficulty that you are having right now seem a bit trivial and not as important and heavy as you had imagined the last few days, weeks and months. You may discover that you had expanded and made the problem a lot more terrifying than it actually is. Asking yourself a combination of the previous question plus this question may help you to put just about anything in your life into a more healthy and relaxed perspective. Now, what is your favourite/best question to ask yourself? I particularly like #2 on the list. When I’m having a difficult day I like to play a game I invented called “Two Things That Are Awesome Today.” (It’s just what it sounds like: think of two things that are awesome about that day.) Then I make sure to tell someone about those two things. It helps to say it out loud. Wonderful post. I like your emphases on not taking life too seriously and adding value in all situations. These are two things I fully believe in and I have written about them myself at my own blog and elsewhere. I use a variation of your first question: “Why am I doing this?”. Getting back to the “why” helps me to see the bigger picture and stay motivated as well as to concentrate on what really matters. How about: Do I enjoy doing what I am about to do today? If you answer no too many days in a row it might be time for a change. That is so true. 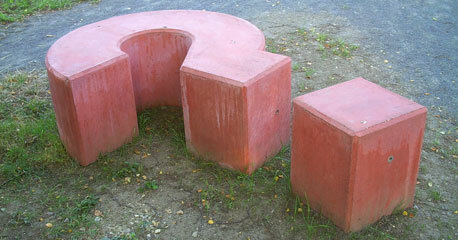 The quality of the questions you ask yourself really determines the quality of your lives. I use questions like those in the article all the time, and I tell you it works like a beauty. No matter what situation I get into, or how bad something seemingly is, asking empowering questions can turn things around quickly and get you to focus on the positive, and the things that can be done rather focusing on the negatives. If you’re not used to it, it would be tough initially. But keep at it. The more you response to situations with these questions, the easier it becomes. Before you know it, you will naturally ask empowering questions whenever you are facing tough situations. It gives you a very empowering feeling just knowing that even though what you had just experience should make you feel upset or angry, but you’re responding in a totally positive way. It gives you confidence & courage to face anything in the world. something which only *I* know is a reminder of my goal motivates me even more than, say, a sweatshirt emblazoned with SOME DAY I WANNA WRITE A BOOK on the front. 1. Will this matter in 10 minutes? 10 months? 10 years? 3. What is the positive intent behind my negative behavior? What is it that I really need now? These are great and very helpful points for navigating well through life. Asking questions like these can help keep us sharp and focused in life instead of allowing the clouds of clutter and confusion settle in on us. Great post! I think the question about time is a great one and it’s something I often use. Will this matter five years from now and a decelerating scale gives perspective upon the immediacy of one’s responses. This is especialy pertinent if you’re not responding from the best of yourself. Another great one is ‘Can I change this?’ or ‘What can I change about this?’ How much energy is spent anguishing about things we can have little or no impact upon? Positive change, that leaves me stagnant- Right where I am. Positive change, that skyrockets me to a better standing-Much closer to those desired results faster. Taking the Right direction and walking. Taking the Right direction and sprinting. Nowadays, Positive change is not enough…its better when energy and effort is added to pit you forward, faster.